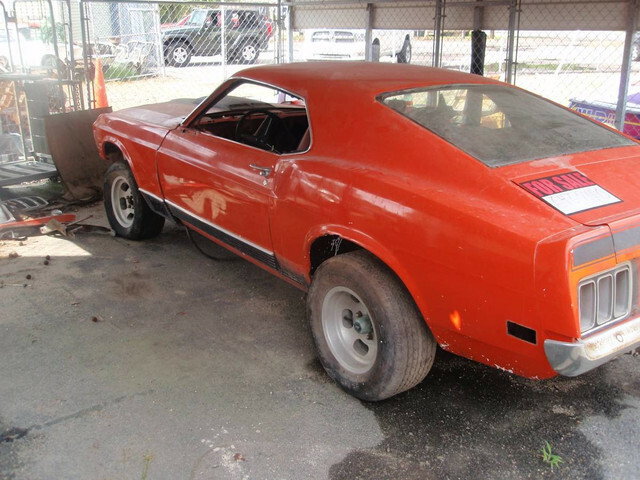 I recently picked up a '70 Mach 1 that had a set of very tarnished vintage Ansen Sprint aluminum slot wheels. They are a staggered setup, with 14" x 9" in back and 14" x 7" or 7 1/2" up front A nice set of vintage Ansen Sprint are getting good money these days from those who want the vintage look. After staring at them on the car thinking about what to do with them., it dawned on me... they look a lot like my 73 Ford Aluminum slot wheels only bigger. I know US Mags and American Racing (who now makes new Ansen Sprints) make new Aluminum Slots but they look different than our stock 73 Aluminum slot wheels. So I decide to clean up (a bit) one of the front Ansens and the lugs and see if the Mustang Aluminum slot center cap would fit the wheel. Well what do you know, they do fit. They wrap themselves perfectly right around the Ansen style lug nuts and lug nut washers. All I need to do is drill and tap the 3 or 5 screw holes that mount the cap to the wheel and maybe add the black stripe around the inner wheel lip. I could then have 225/60s up front and 235/60s in back while keeping the stock wheel appearance. Here is a pic of my stock 73 aluminum slot and the Ansen with the stock 73 aluminum center cap. 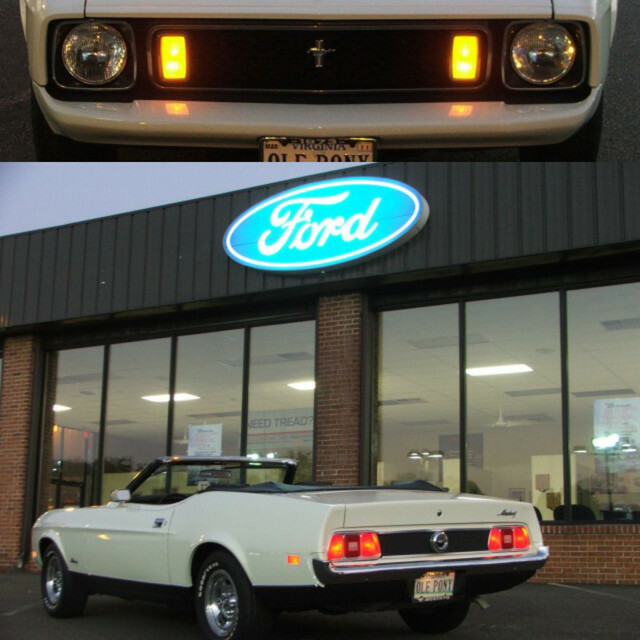 All it needs is a little more polishing, the black accent stripe, and a nice wide white letter tire. What do you think? They do look similar, Nice find. just need to paint the black ring. Weird I was coming here to ask a similar question and this is the top thread. Congrats on the car btw, I love the 70. I think you answered my question but just to clarify. 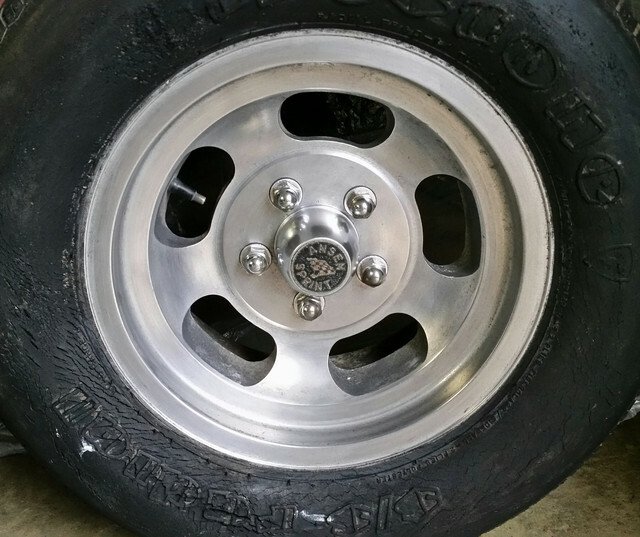 On my local letgo someone is selling the slot wheels but I do not see the screw holes for the center caps. The wheels are listed as 14 x 6 with 4 1/2" bolt pattern. No screw holes mean these are not ford oem correct? Which is fine since it sounds like I could add that but just so I know. (07-31-2018, 01:03 PM)73mach1whiskey Wrote: Weird I was coming here to ask a similar question and this is the top thread. 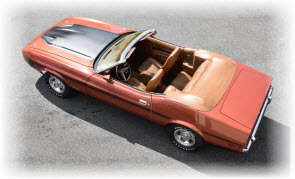 Congrats on the car btw, I love the 70. I think you answered my question but just to clarify. On my local letgo someone is selling the slot wheels but I do not see the screw holes for the center caps. The wheels are listed as 14 x 6 with 4 1/2" bolt pattern. No screw holes mean these are not ford oem correct? Which is fine since it sounds like I could add that but just so I know. The screw holes I am referring to are specifically for mounting the 73 aluminum slot center caps as shown in the pics. 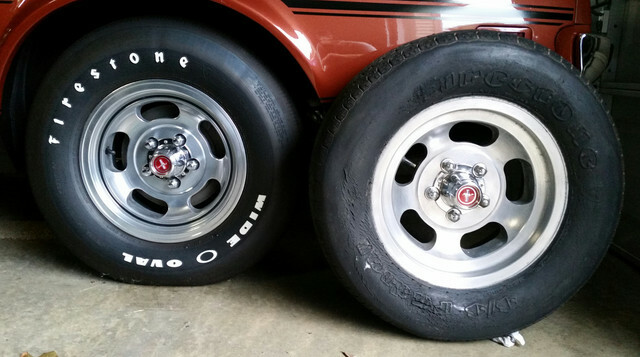 The original 73 Ford Aluminum slot wheels are 14 x 6 with a 5 x 4.5" bolt pattern and have the threaded center cap holes and the black accent stripe on the inner lip. I am not aware of any aftermarket wheels with the threaded center cap holes and the black accent stripe. 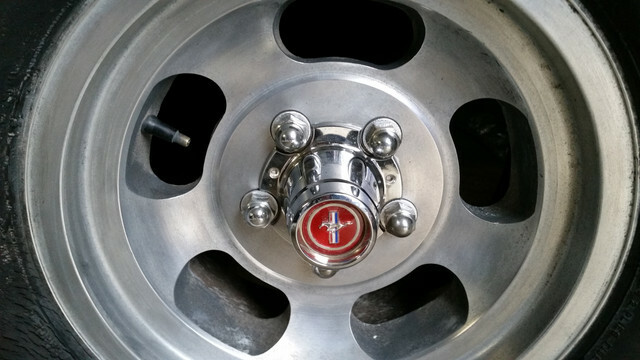 Are you looking for an original set of 73 aluminum wheels or aftermarket look-alikes? The center cap holes is what I was wondering, if they could be added. I was going to ask that question and saw where you said they could be. I don't have a cap to take but for 100 if they look nice I'll probably take them anyway.